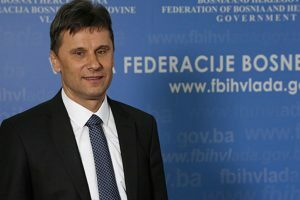 When the Prime Minister of the Federation of Bosnia and Herzegovina, Fadil Novalić, appered on TV show “Pošteno” on the FTV, among others, he has promised that he will make available to the public the draft of the new Labour Law in order to demystify many concerns about it. Novalić spoke about the draft Law on Labour, in the TV show “Pošteno”: „Here by I commit myself to put it at the disposal of the public, for everybody to see that this is not as scary as it seems “. The new draft of the Law is mentioned few times on the web site of the Government, mainly in the context of economic reforms that have yet to be implemented, and the meetings that the Prime Minister Novalić had with foreign officials and businessmen from Bosnia and Herzegovina. Also at meetings of the Government this draft was mentioned only once, at the first session when the concept of economic development of the Federation introduced. Istinomjer’s team sent on July 3rd, a request for information to the Prime Minister Novalić using the contact form on the official website of the Government of Federation, in which we reminded the Prime Minister on the promise given in the show, and asked to get the draft for review. 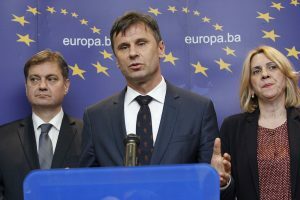 To this date (June 11th) there was no response from the Prime Minister Novalić’s office, nor the draft Law was published on the website, and therefore the Prime Minister gets “unfulfilled” rating for this promise. Reformski zakoni u FBiH preko leđa radnika/ca?